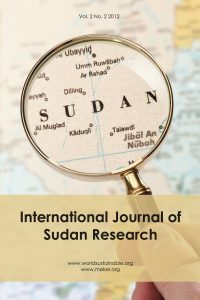 Purpose: the paper aims to study the economics of marketing of food legume crops in the River Nile State of Sudan. Methodology: The study depend mainly on primary data which was collected by using structured questionnaires for (70) randomly selected respondents through probability proportional method from Elzeidab public irrigated scheme of River Nile State as a case study. Descriptive statistical technique has been employed to achieve the objectives of the study. Findings: the paper revealed that agricultural marketing system in the area of study suffered from numerous chronic constraints. Value: The study concluded that stability and improvement of food legume crops marketing system contribute significantly to farm sustainability and alleviates malnutrition in the River Nile State. However, the actual marketing constraints restrict the sustainability of these important crops. So, the cooperation between international organizations and governmental institutions should tackle the hindrances of food legume crops marketing system in the River Nile State.